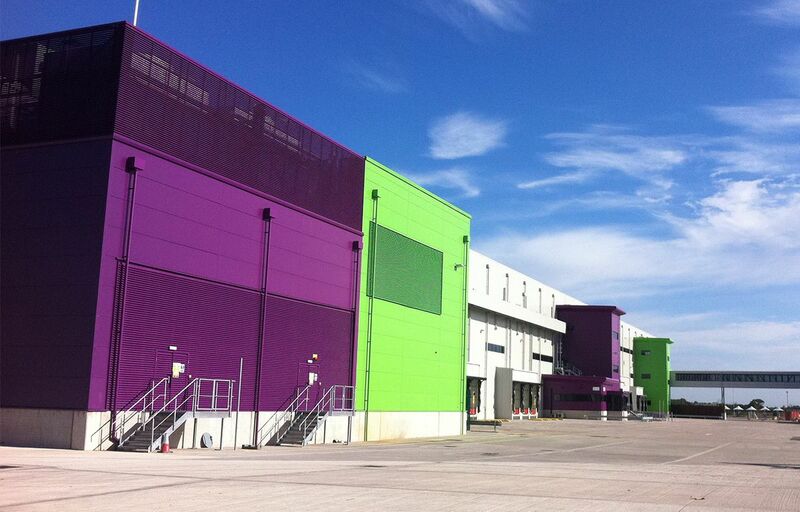 ISD have installed a full range of composite panel systems within a major development for Ocado, the online food company best known for its home delivery. Ocado has invested c. £200 Million in the 35,000m2 project, which will have the capacity to sort and pack up to 200,000 deliveries per week, and generate a further £1 billion of Ocado sales per annum. ISD Solutions’ £7.0 million order was easily the largest single contract ever awarded in the cold storage industry. ISD is in a unique and enviable position as they were able to offer the client’s team a full list of packages from dedicated divisions, including, Coldstores, Firewall, Specialprojects and Cladding. Each package is sizeable in its own right and ISD resources allowed a separate team for each discipline, with each team headed by a separate and experienced Project Manager. The overall contract is co-ordinated in-house by a team of ISD Directors. Nominally 12,000m2 of panel. Internal Temperature Controlled and Office areas including; Full height fire rated Warehouse walls, Fire Escape Corridor, Office division walls and fire rated ceilings. Nominally 50,000m2 of panel. External ‘Single Envelope’ Temperature Controlled Warehouse including; Weathering membrane, RWG’s, Lightning protection and Mansafe system. RWG’s, Lightning protection and Mansafe system. 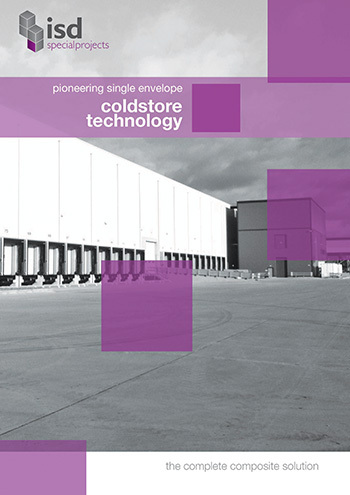 Coldstores, Firewall and Special Projects packages intertwine within the complex matrix of the building, where firewalls are also insulated temperature control chambers and temperature controlled areas are defined by the insulated ‘Single Envelope’ construction. The complicated nature of the internal & external structure is such that the separation of individual packages is very difficult, and a holistic approach to the installation was not only the most practical but the only realistic solution. It was a huge benefit for the Main Contractor to place the packages with one contractor who understood the scheme and would take sole responsibility for the performance of the separate chambers. ISD is the only UK company, suitably structured, financially strong and with the necessary experience in all disciplines, able to offer the necessary reassurances to the client’s team.